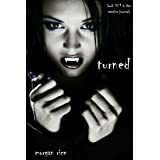 About the Book: TURNED is book #1 in the #1 Bestselling series THE VAMPIRE JOURNALS, which includes eleven books (and counting). About the Author: Morgan Rice is the #1 bestselling and USA Today bestselling author of the epic fantasy series THE SORCERER'S RING, comprising 17 books; of the #1 bestselling series THE VAMPIRE JOURNALS, comprising 11 books (and counting); of the #1 bestselling series THE SURVIVAL TRILOGY, a post-apocalyptic thriller comprising two books (and counting); and of the new epic fantasy series KINGS AND SORCERERS, comprising 3 books (and counting). Morgan's books are available in audio and print editions, and translations are available in over 25 languages. 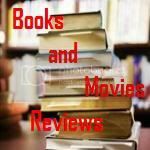 My Review: After reading the Sorcerer's Ring Series, I enjoyed so much Morgan Rice's style of writing that I decided to give a shot into this series called The Vampire Journals. And I was not disappointed. The story on book 1 (Turned) is very well written, the plot is full of action without a single idle moment. You read the whole book sitting on the edge of your chair. In this book our heroine (Caitlin) sense changes on her that she cannot explain. When moving to a different high school, she ended up in a dangerous neighborhood. Over there she meets Jonah, a classmate which takes a liking to her. While going on a concert with him, she ended up placing herself in a situation that changes her life upside-down. In her rescue comes Caleb, that ends up showing her an entire new world. Caitlin thinks Caleb has answers for her and Caleb thinks Caitlin can lead him to a lost artifact. And a whole love story is on the making. This series promises to be as good as the other series Morgan wrote, full of excitement, action, love stories and characters that you learn to love and cheer for them. I can hardly wait to put my hands on the second book of this series.